With roots in the construction sector, we know what’s needed to help make your project run as smoothly as possible, whatever the challenges. Our Scaffolding and scaffold related works are completed in and around Thirsk and Sowerby, Northallerton, Ripon, Catterick, Bedale, Leeming Bar, Boroughbridge, Easingwold, Helmsley, Kirkbymoorside, Pickering and Malton, Ryedale, Hambleton, Stokesley, North Yorkshire and the North York Moors. We offer commercial incentives to local tradesmen requiring scaffolders in Thirsk and North Yorkshire. This includes those engaged in general construction and building, roofing, painting and decorating, window fitting and chimney lining, UPVC facia and soffit installation, as well as those undertaking insurance based assignments. We're happy to offer our scaffolding services to domestic customers, self-builders, project managers and event organisers too. Our local site teams get the job done quickly and safely. As we continually invest in new equipment, the visual impact of our scaffolding is minimised, and we are prompt to dismantle and tidy up. When projects require CAD and detailed technical drawings, we deploy our design and estimating consultant. For smaller projects, we’ll often roll in the cost of any design service. 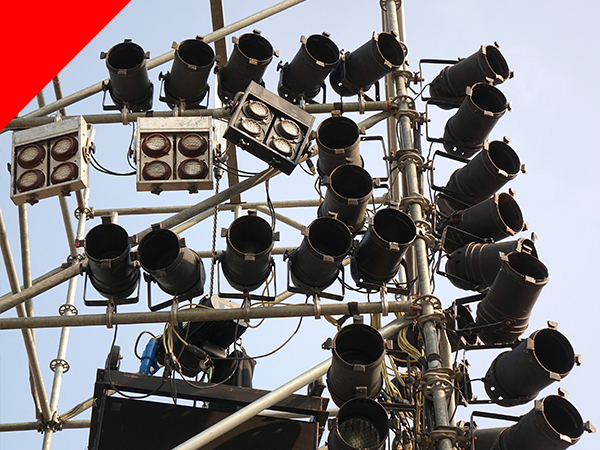 Scaffolding and staging is increasingly used to create temporary infrastructure and features at public & private events, shows and parties. You’ll be surprised what we can create in just a few hours. 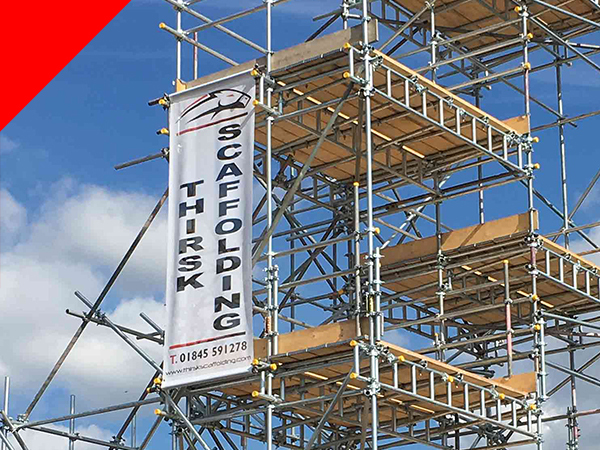 At Thirsk Scaffolding we take a team based approach to site operations and we always have a senior scaffolder close at hand. Staff are all trained to CISRS standards, with advanced gold card scaffolders, inspection & part 1 & 2 scaffolders / trainers. 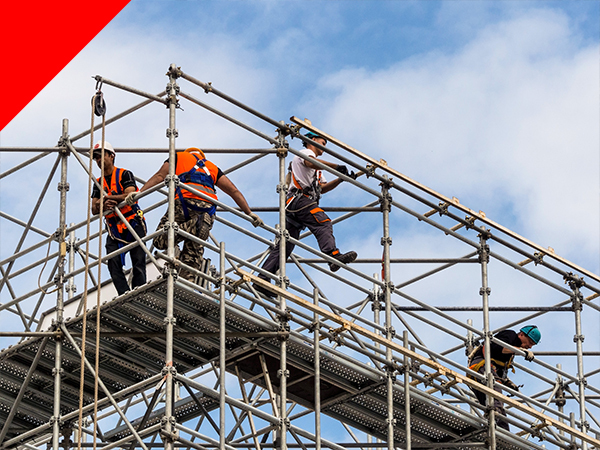 We work in line with TG20: SG-4 & SG-7 guidelines and provide method statements and risk assessments for each assignment, providing you with complete peace of mind that your scaffolding and service provider is safe, legal & compliant. We are fully insured and carry £10M in public liability cover.